The ScanEagle unmanned aerial system has been used by U.S. forces in Afghanistan and is being fielded to selective Afghan National Defense and Security Forces (ANDSF) as well. ScanEagle System - Insitu, Inc. This UAV provides persistent imagery via a live video feed. The footprint needed for this portable system is small and it requires no nets or runway. The length of the UAV is about 5 feet and the wing span is about 10 feet. It weighs about 35 pounds and can carry a payload of about 7 pounds. It can loiter above the battlefield for almost 24 hours with a service ceiling of 15,000 feet. It can travel at 80 knots max; and cruise at 50-60 knots. 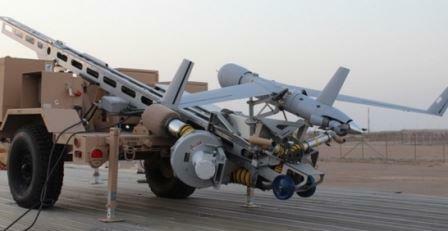 The ScanEagle saw its first deployment on the battlefield in Iraq in 2004 with the U.S. Marines. The Air Force provided it to some of its Security Force Squadrons in a Force Protection role. Since that time it has been introduced to Afghanistan as well. It has been fielded to the Marines, Navy, Air Force, Coast Guard, Army, and various units of U.S. Special Operations Command. Other nations - including Malaysia, Czech Republic, Singapore, Spain, Italy, Japan, Netherlands, United Kingdom, Yemen, Colombia, UAE, Poland, Iraq, Canada and Australia - have used the ScanEagle. Many of these countries have used the ScanEagle in Afghanistan. 1. The ScanEagle fills the gap between the mini-drones like the hand-launched Raven UAV and the runway-launched Shadow UAV fielded to U.S. Army brigades. System Description. A complete ScanEagle system costs about $4 million and is sometimes comprised of four air vehicles, a ground control station, remote video terminal, a launch system, and the Skyhook recovery system. ScanEagles for ANDSF. In November 2015 the U.S. Department of Defense announced that Insitu, Inc. (a subsidiary of Boeing) was awarded a $70 million firm-fixed-price order for the procurement of eight ScanEagle unmanned aircraft systems for the Afghan security forces under the Foreign Military Sales (FMS) program. The systems will consist of 65 ScanEagle Air Vehicles, spares, support equipment, field service support, and the establishment of an in theatre ScanEagle training facility and training program. The work is scheduled for completion in June 2018. 2. Capability. The ScanEagle systems will provide the Afghan National Army with airborne ISR (intelligence, surveillance, and reconnaissance) capability. The fielding is, in part, being coordinated by the ISR Capabilities Integration Cell of the Combined Security Transition Command - Afghanistan (CSTC-A). The aerial ISR platform will augment the HUMINT and SIGINT capabilities of the Afghan army. The systems consist of two operational cameras - a daytime electro-optic camera with high-definition zoom capability and a nighttime infrared camera that is very sensitive to movement and heat. ScanEagle Operations Sites. The two initial deployments of the ScanEagle systems to Helmand and northern Afghanistan were facilitated by the respective Engineering kandaks - which prepared the operations sites and facilities. Personnel. 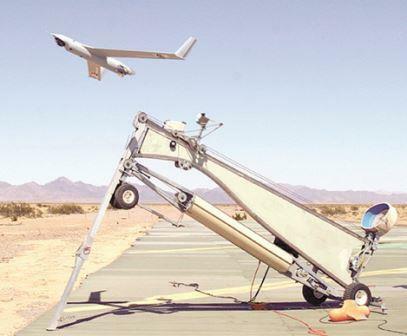 Currently, the ScanEagle is a GOCO enterprise - a Government Contract staffed by coalition field service representatives. There are some Afghan personnel who have undergone some training in the United States and Afghanistan; but it will be some time before the ANA can train its own operations and maintenance personnel for the ScanEagle systems. What Took So Long? In the later years of the Afghan conflict U.S. Army brigades had their organic Shadow platoons available for ISR support. In addition, many of the brigades were augmented with an additional Shadow platoon consisting of contractors with the same systems - using a GOCO arrangement (Government Contract). Up until 2014 the Coalition was able to provide the ANA with ISR capabilities - although on a limited basis. The ScanEagle system is arriving much too late in this conflict; it should have been field in 2012 which would have allowed the ANA to develop a nucleus of trained operators and maintainers. One wonders why the senior intelligence officers assigned to ISAF in the 2010-2014 timeframe could not have come up with a GOCO fielding plan that could have taken place several years ago. Once again a case of too little too late. April 2016. "ScanEagle unmanned aerial vehicles enhance intelligence capability for Afghanistan", RS News, Resolute Support Headquarters. This news release by RS HQs provides information on the initial fielding of the ScanEagle system to the 209th and 215th ANA Corps in northern Afghanistan and Helmand province. 1. For a history of the ScanEagle and worldwide customers read "From Dolphins to Destroyers: the ScanEagle UAV", Defense Industry Daily, November 30, 2015. 2. For more on the Nov 2015 contract award for ScanEagles for the ANDSF see U.S. DoD Press Operations Release No. CR-227-15, November 25, 2015.